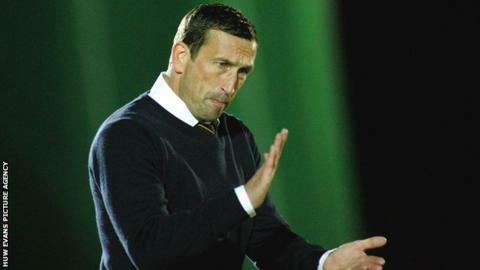 Newport County manager Justin Edinburgh is hoping to bolster his defence during the January transfer window. The Welsh side, whose game at Woking on Tuesday was called off due to snow, suffered a surprise 2-0 loss at home to strugglers Barrow last weekend. Despite that reverse, Newport remain third in the Blue Square Bet Premier, two points behind leaders Grimsby. "We've conceded far too many goals of late and certainly need to strengthen in that area," Edinburgh said. "It's easier said than done and [Tuesday's] game is not on, that's out the way so it gives me a good week to focus solely on the transfers now and see what we can do." Despite having travelled to Woking before the game was called off an hour before kick-off, Edinburgh believes it was the right decision to postpone the match. "I think he's [the referee] made the right decision. "When we first arrived it [the snow] hadn't settled and wasn't heavy, but... if we started it I didn't think we would have finished it," Edinburgh added.